Lorna Hill, center, finds inner strength as Hecuba in “The Trojan Women,” opening tonight in TheatreLoft. Over the past five years, life has handed Lorna Hill grief upon grief. In 2009, the veteran Buffalo actor and stalwart leader of the Ujima Theatre Collective lost her 7-year-old grandson Asa to a car accident. Soon after, she was diagnosed with breast cancer, which she battled with the same fierce determination that has kept her small theater company running since 1978. And on Friday, after a long absence from the stage and a string of challenges that would have sent lesser women over the edge, Hill will star as the grief-stricken Trojan queen Hecuba in a co-production of Euripedes’ play “The Trojan Women” with newly launched Buffalo Public Theatre. The all-female play is set in the aftermath of the Trojan War (also the subject of “An Iliad” playing across town in the Road Less Traveled Theatre), in which all the men of Troy have been killed and the women are left to fend for themselves. Hecuba, the widowed queen, must deal as Hill did with the death of her young grandson, as well as with the loss of her husband and the prospect of living out the rest of their lives as slaves to the Greek victors. “In the play, I have to bury my 8-year-old grandson. I have to say goodbye, I have to part with, I have to release my arms from my 8-year-old grandson,” Hill said in a recent phone interview. Hill said she teaches “The Trojan Women” to her high school students at Buffalo’s Academy for Visual and Performing Arts, where she has worked for several years while serving as Ujima’s artistic director. She stressed that the play’s central issue, the violent treatment of women as spoils of war, is by no means an ancient one. Buffalo Public Theatre co-founder Kelli Bocock-Natale, who is co-directing the show with her husband, Joe Natale, echoed Hill’s thoughts about the modern resonance of the play. 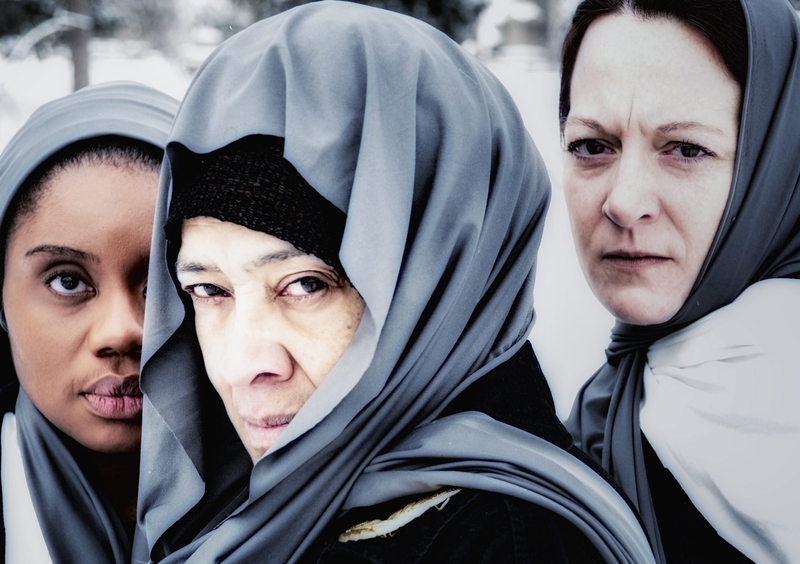 For Hill, who shares the stage with a substantial cast of new and veteran actors, inner strength in the face of unthinkable tragedy is Hecuba’s chief virtue. Where: TheatreLoft, 545 Elmwood Ave.